Indoor-Restore Environmental Services understands that air quality affects our health in ways we do not commonly think about. Exposure to poor indoor air quality has increased respiratory related diseases among children and the elderly, and the frequency of allergic reactions that adults experience is a testament to that. Common indoor contaminants include dust particles, mold spores, pollen, rodent feces and insect remnants. If you are concerned for the health and safety of your family, as a home owner, you can control and improve the air quality of your home with air duct cleaning services. Studies suggest that indoor air pollution is responsible for over half the illnesses we suffer including sinusitis, allergic rhinitis, asthma and more. Our home should be our safe haven. You dust and vacuum weekly and think that your home looks tidy and clean, yet once you turn on the heater or air conditioner the dust, debris and mold spores will circulate around your home. Dirt, dust, and pet hair can be landing on counter tops, in your food, and even in your lungs. You don’t want that! It doesn’t make sense that you’ve spent your day cleaning and will be instantly disturbed without proper air duct cleaning. Indoor-Restore Environmental Services wants your property to have clean, liveable air free from dust, debris, mold spores, and other hazardous pollutants. We have the solution. Indoor-Restore Environmental Services uses a powerful suction machine during every air duct cleaning service. 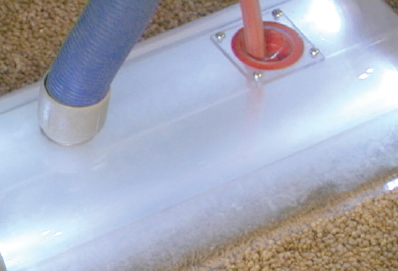 Our vent cleaning service does not include a rotating brush to loosen up debris as this method has the tendency to break and cause damage to the vent requiring constant maintenance, but to avoid damage and additional maintenance cost our air vent cleaners use a compressed air method to blow away the dirt and vacuum the debris. 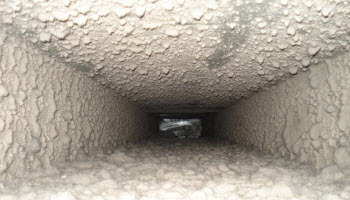 It is a fact that most people don’t clean their air ducts as often as they should. Dirty carpets, filthy counter tops, and dusty furniture are obvious so they are cleaned regularly unlike the forgettable air ducts. Our methods for air duct cleaning is fast, less disruptive, cost effective, and extremely effective at providing dust free air and a cleaner home for you and your family. 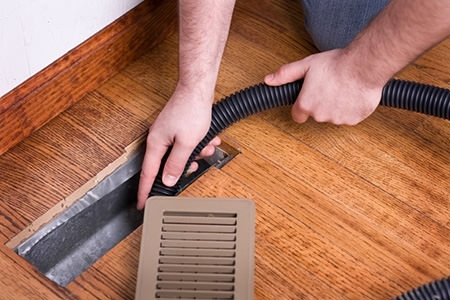 This proven method of air duct cleaning can make you breathe a little bit easier. Our vent cleaning services can be provided to residents throughout California who are seeking cleaner, breathable air. The air duct cleaning process by Indoor-Restore Environmental Services uses the combination of superior unrivaled technology and exceptional workmanship. The duct cleaning cost varies based on the number of air vents within the home. We don’t just clean air vents – we restore your HVAC systems to its original state free of dust and debris. Our air duct cleaning service will clean all air ducts, furnace (air handler) and filtration systems. It is our guarantee that you will be pleased with our air duct cleaning services. If you are in need of air duct cleaning services, or have questions about the duct cleaning cost, contact the experts at Indoor-Restore Environmental Services at (866) 358-3838 or submit an online contact form for more information.